Vietnam is a country of beautiful surprises. People who love to explore new destinations and learn about new cultures, food, lifestyles and coffee would enjoy their time in this country. Vietnam has everything. Coffee lovers can hop from a café to another; trekkers can go to valleys and walk endlessly. There are cycling spots, cruise trips and many hidden caves to explore. Vietnam boasts of a rich history that has seen many wars and today is counted among some of the most beautiful countries in South East Asia. Newly-wed couples would love their time in Vietnam. The natural scenery, street food culture and lovely landscapes will offer them a time of their life. Cities like Ho Chi Minh and Hanoi give you ample time to enjoy culture and go on shopping trips. While destinations like Sapa Valley and Halong Bay will offer a number of activities to enjoy. Vietnam as a honeymoon destination is splendid and lively. While the list of places to visit in Vietnam is never-ending, here are a few destinations in Vietnam that must be a part of your itinerary. Offering the most spellbinding sea views, Halong Bay is a favourite when it comes to places to visit in Vietnam for a honeymoon. It is known for thousands of limestone islands sitting within this bay in the Gulf of Tonkin. These cliffs have been eroded into interesting shapes due to the impact of wind and water over millennia. This unique feature has gotten it listed as UNESCO world sites. A trip to Halong Bay is best enjoyed on a cruise. An overnight tour to Halong Bay will offer you lovely iconic views and memorable honeymoon moments. Ho Chi Minh City used to be called “Sai Gon” in the past. Today, it is the biggest city in Vietnam and the supposed point of arrival in the country. Located on the bank of Sai Gon River, this city offers a pleasant combination of traditional and modern beauty. Here, you can enjoy many activities which include shopping, pub hopping and endless dining options. 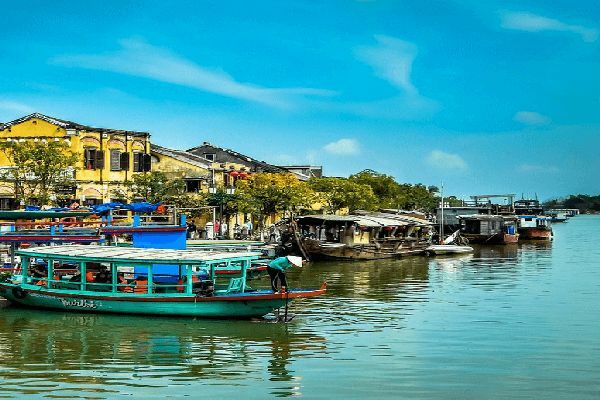 Hoi An is a heritage city in Central Vietnam. This small and compact town with a riverside setting offers an old-world charm. The town is known for its vintage buildings which heavily carry Vietnamese, French, Chinese, and Japanese influences in the architecture. Honeymooners would love to take strolls around the Riverside, and the city’s magical atmosphere after sunset will merely elevate the romantic vibes. The rugged and remote charms of Ha Giang make it one of the best destinations in Vietnam. The couples who are more interested in enjoying the tranquil views in the country would love their time here. The entire landscape gains a golden hue because of terraced rice paddies. Deep valleys carved into the limestone mountains give the whole area a very scenic look. Anyone who loves natural charms and slow ways of life would love their time at Mekong Delta. With an abundance of rice cultivation on both banks of Mekong River, it becomes adorable to enjoy the quaint charms of vintage Vietnam. Entire Mekong Delta is enriched with gorgeous landscapes to behold and river abundant with floating markets and houseboats. The historic city of Hanoi is one of the highlights when it comes to best places to visit in Vietnam for honeymoon. It is a backpacker’s paradise known for its cheap street food and many hostels where you can find a budget-friendly stay. The old quarter of the city offers splendid surprises and a quaint charm ideal for some lazy time. Hanoi is also popular for its scenic lakes. A number of rooftop restaurants and bars overlook these lakes and offer amazing traditional Vietnamese coffee and chilled bottles of Saigon beer. This lovely mountain town is one of the best Vietnam honeymoon places. Sa Pa is home to many ethnic groups. You can easily find a homestay to spend a few nights. The lovely green rice terraces create a golden hue that makes the entire landscape look magical. Sa Pa is a great destination for cycling, hiking and trekking. Hue boasts of a rich history with relics spread across the town mostly belonging to the 19th-century Nguyen emperors. Hue is located on the banks of scenic Perfume River, and it’s Imperial Enclosure is a huge site where photographers and history lovers would love exploring. Thai Hoa Palace is one of the favourite places to visit. It is known for its pretty lacquered interior detailing. 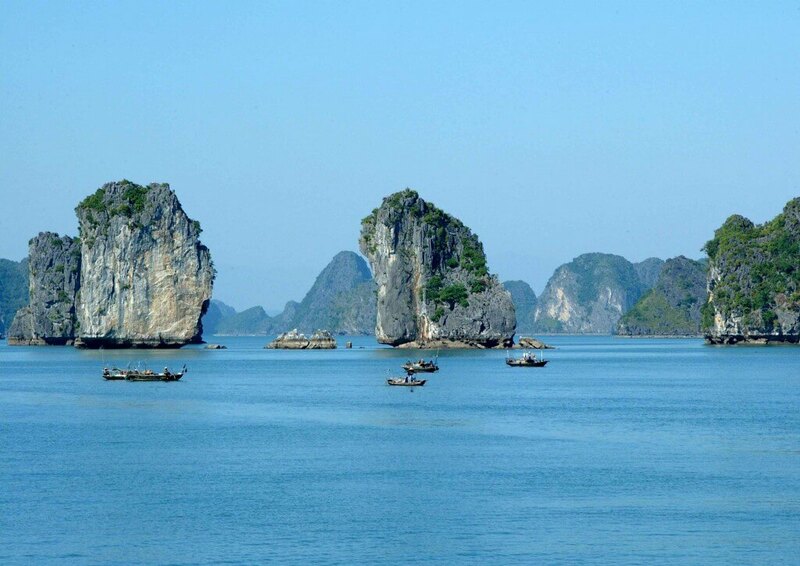 Couples looking for something offbeat to explore in Vietnam should head to Cham Island, also known as Cu Lao Cham. This island is slowly gaining popularity because of its rich marine life. Being close to Hoi An makes it easy to visit on a day trip. Regular speedboats run between the island and Hoi An. Many restaurants and street food shacks present here offer fantastic seafood. Those who want to enjoy something offbeat while choosing Vietnam as honeymoon destination will love their time in Mui Ne. There are regular buses and trains between Saigon while couples looking for some adventure can also hire a bike to travel all the way to this quaint destination. Mui Ne is a charming fishing village that overlooks many resorts and bungalows catering to tourists from all walks of life. Quad Bike Across the White Sand Dunes is a popular activity that offers a thrilling spin through this gorgeous desert. Take a walk across the red sand dunes and enjoy delicious seafood to make the best out of your visit here. 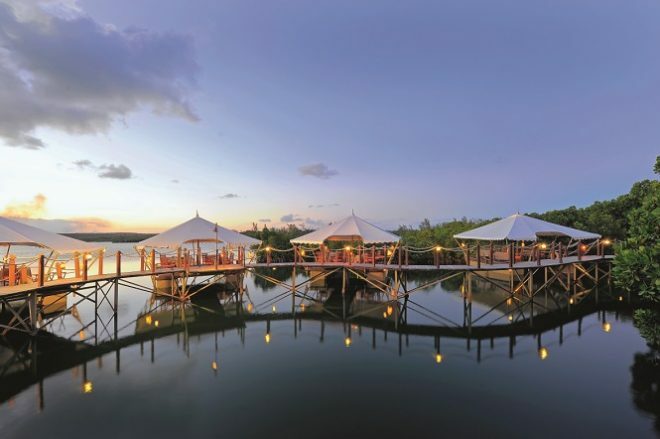 Mui Ne offers eclectic joys that make a honeymoon experience even better. Our holiday packages offer the best travel experiences in Vietnam. Keeping the best itinerates, experiences and stay options as a part of your trip, we ensure that all your requirements will be taken care of. Our team of professionals choose from the best resorts, sightseeing trips and activities that include cruising, cave exploration, walking tours and hiking trips in Vietnam. Newly married couples would also find a number of surprises that will make their trip memorable.